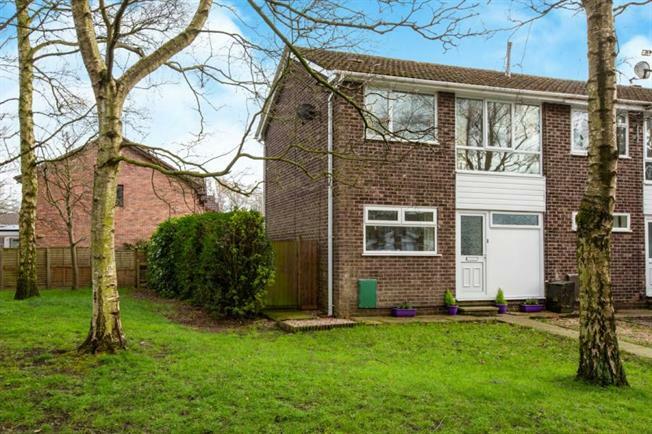 3 Bedroom Semi Detached House For Sale in Stoke-on-Trent for £120,000. FEATURED IN THE BIG OPEN HOUSE WEEKEND 27th & 28th APRIL. PLEASE CALL THE BRANCH FOR MORE DETAILS Situated at the head of a cul-de-sac of similar properties this recently decorated home offers unique living accommodation as the bedrooms are on the ground floor and the spacious open-plan living/dining room and kitchen are upon the first floor. The lounge/diner in particular has excellent dimensions and offers a contemporary style with plenty of space for furniture and a dining table with chairs. Briefly comprising; hallway, all three bedrooms, with bedroom two giving access through to the lovely south facing rear garden and the white family bathroom, of course these rooms can be utilised for any number of requirements, offering a great deal of flexibility. As previously mentioned the spacious L-shaped living/dining room is upon the first floor with ample windows providing natural light. The kitchen is modern and fitted with a range of units and includes an electric oven and ceramic induction hob. Outside we have a driveway to the front providing ample off road parking and a good size established rear south facing garden.